Law has an ever-increasing impact on modern-day society. The role of law is growing and developing within the context of international relations, national structures, and relationships between individuals. FH UGM has a long and well-established tradition of excellent legal education in Indonesia. This institution is well known as both one of the oldest law schools in the country and one of the best. FH UGM has educated lawyers in Indonesia for over six decades. There are now around 1,800 students at the undergraduate and graduate levels pursuing exemplary legal education in the Faculty. Providing instructions for these students is a body of academic staff of over 90 lecturers whose expertise extends across nearly every aspects of the law. To be an undergraduate program which has international orientation, competitiveness spirit and is inspired by Pancasila, the five-point ideology for the interest of the nation. To collaborate with stakeholders in the country and related institution in international level. The program requires 146 credits of courses, including fieldwork or internship and thesis. The standard duration for the program is 4 years comprise 8 semesters. 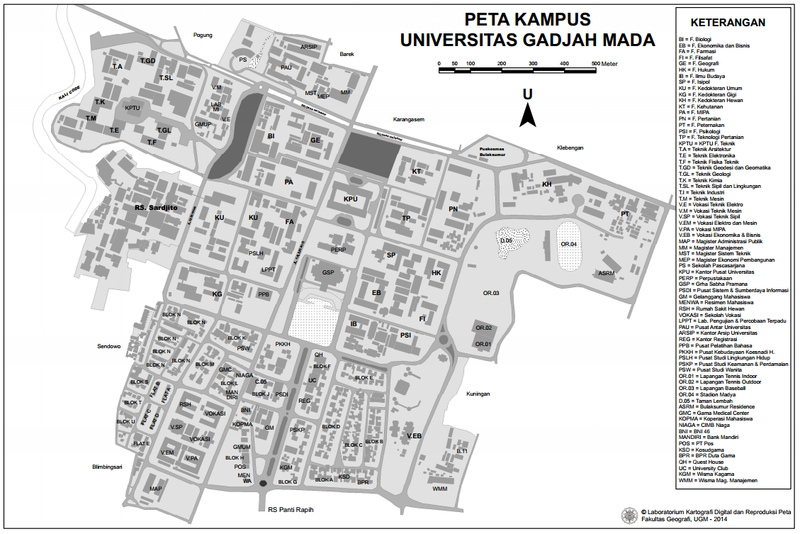 Graduating from IUP Faculty of Law Universitas Gadjah Mada, a student will be granted of S.H. (Sarjana Hukum) equivalent with LL.B (Legum Baccalaureus).